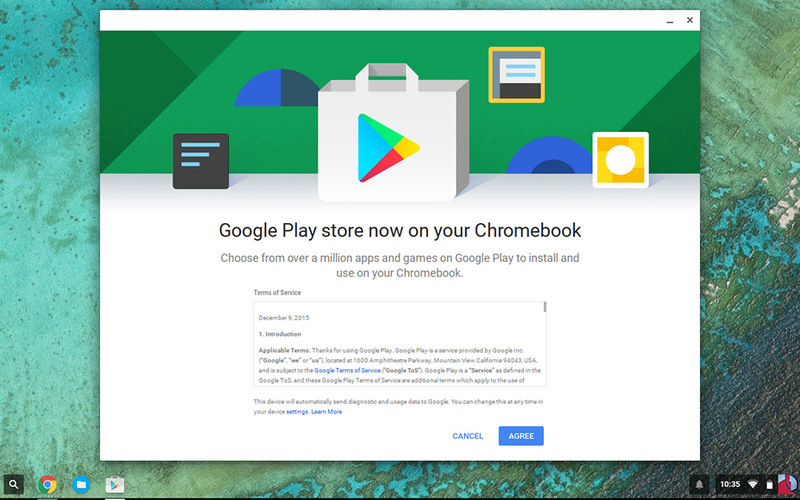 At Google I/O, Google first announced that Google Play and Android apps would make their way to Chromebooks via an update to Chrome OS v53. The initial rollout came in the unstable developer channel and is expected to be stable later this year as availability widens. Today, Google Play access has graduated to the beta channel and is rolling out to the Chromebook Pixel (2015), Acer Chromebook R11, and Asus Chromebook Flip. This is Chrome OS beta 53.0.2785.36 and while it is a beta and includes Google Play access, Google mentions that the Google Play portion of the update is still a “Developer Preview” and may not work as fully intended. With that in mind, expect there to be bugs. The good news is that the beta channel of Chrome OS should generally be more stable than the dev channel, so your overall experience should be much better even if the Google Play and Android side of things is a bit rocky. If you are currently running the dev channel on any of the supported Chromebooks, feel free to upgrade to the beta. To see an early hands-on of Google Play and Android apps running on Chrome OS, be sure to check out this video.